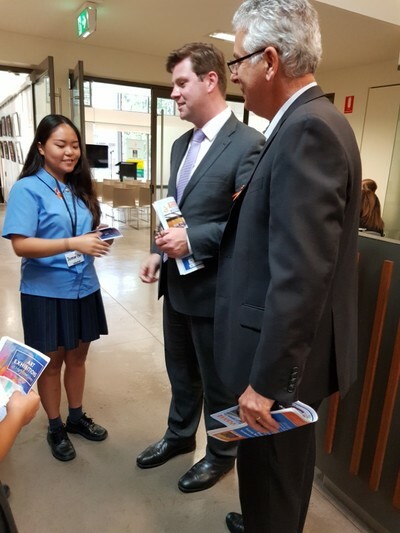 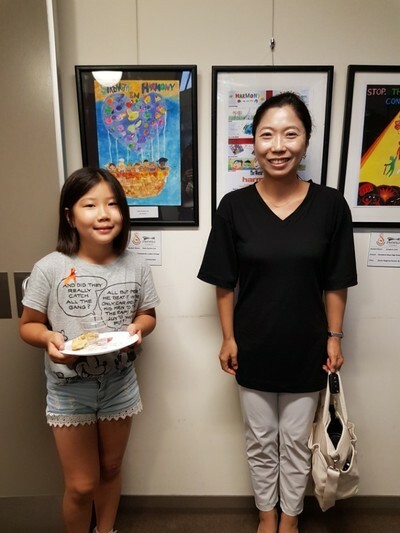 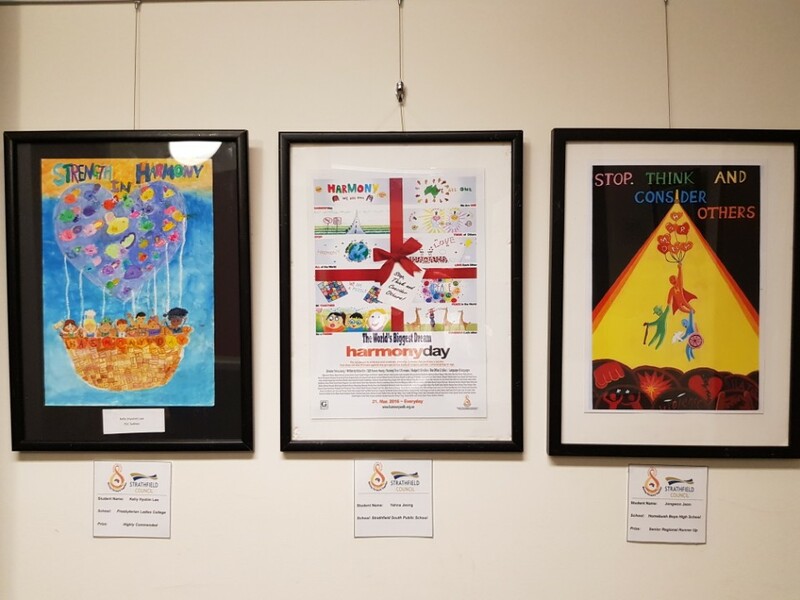 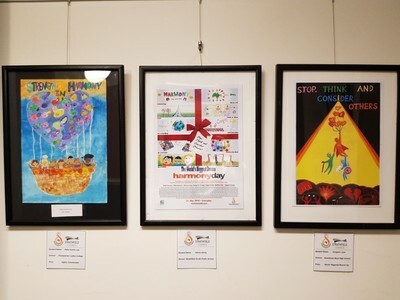 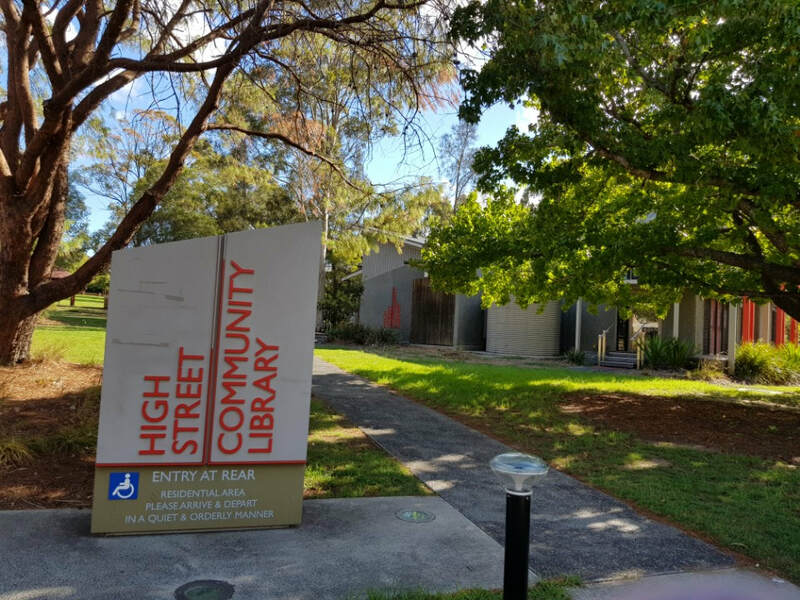 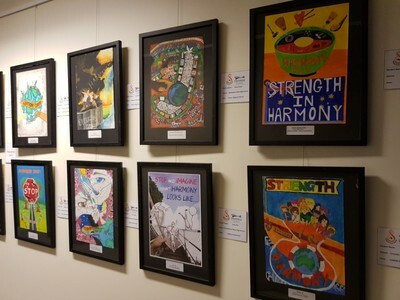 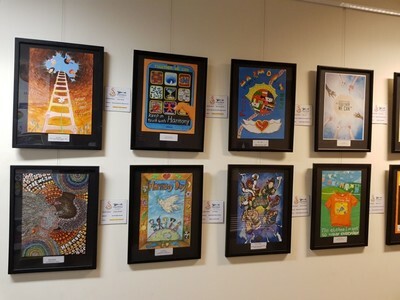 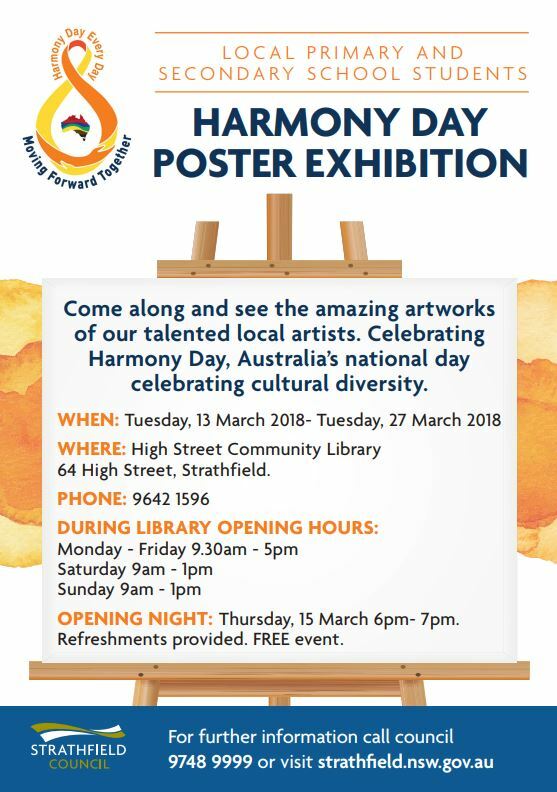 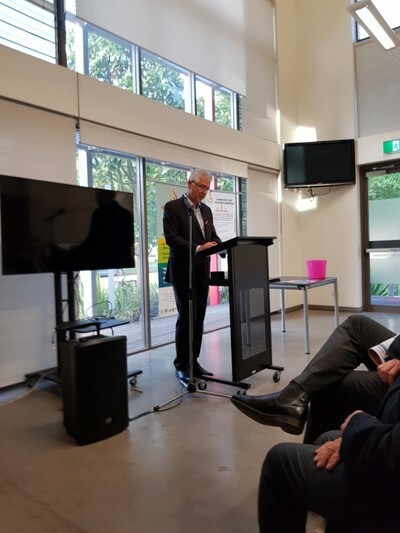 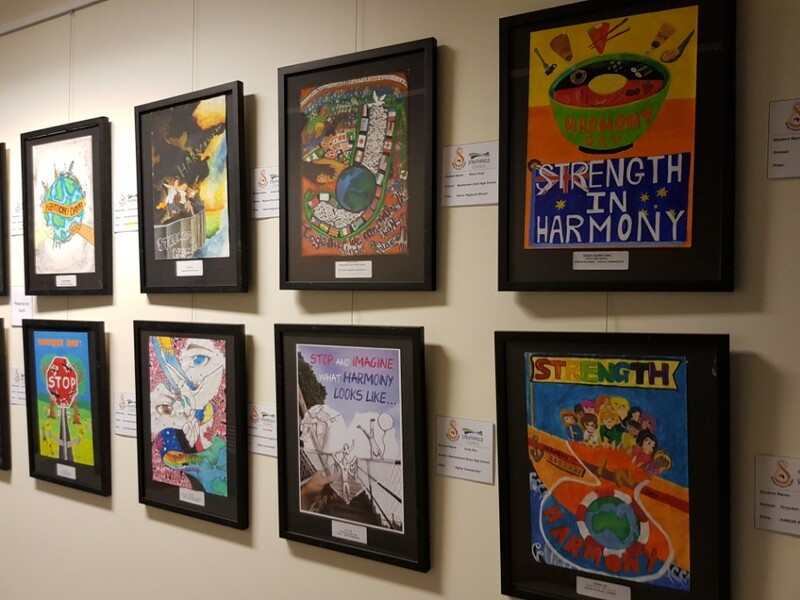 On Thursday, 15 March we went to the Opening Night of the Harmony Day Poster Exhibition at the High Street Library, Strathfield. 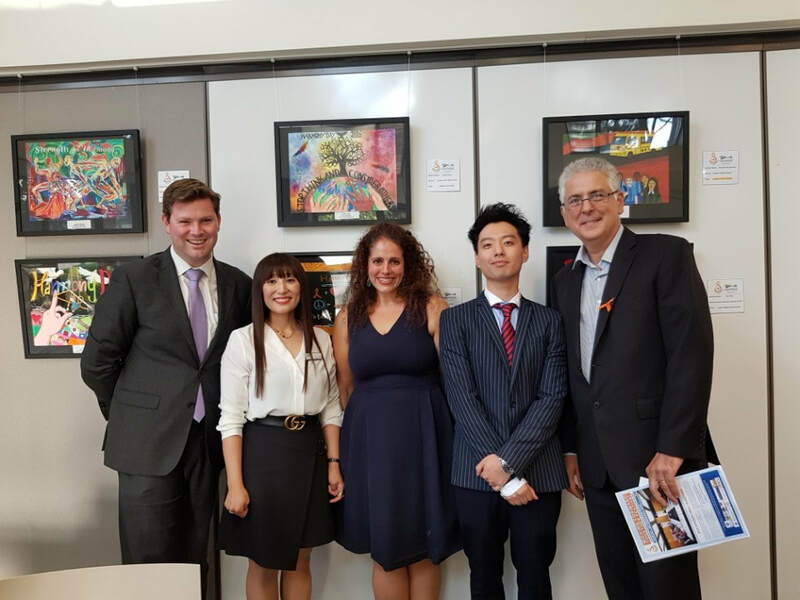 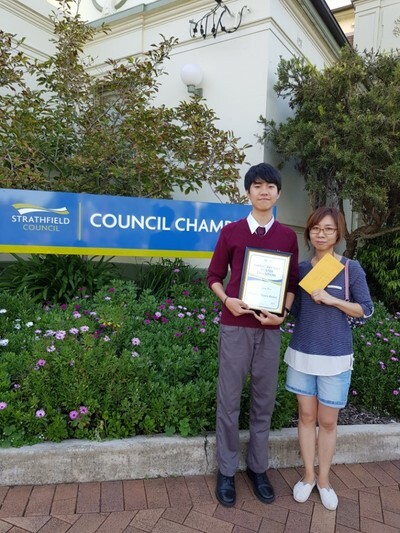 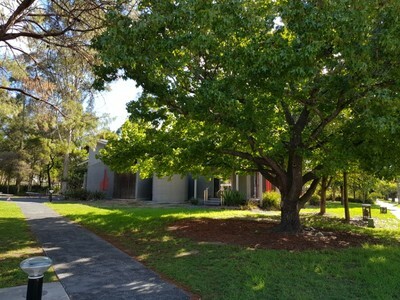 The exhibition was organised by Strathfield Council and Moving Forward Together Association. 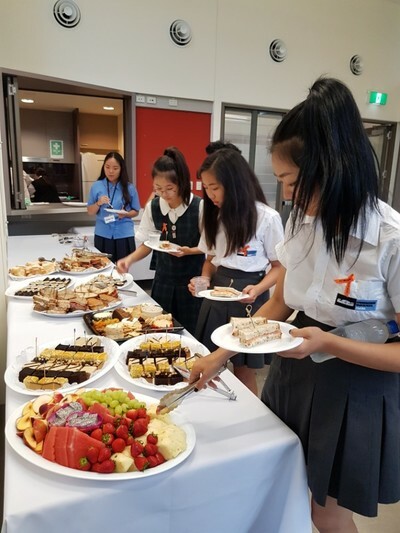 We went there to celebrate Harmony Day and see our amazing talented Star House students and what a showcase it was! 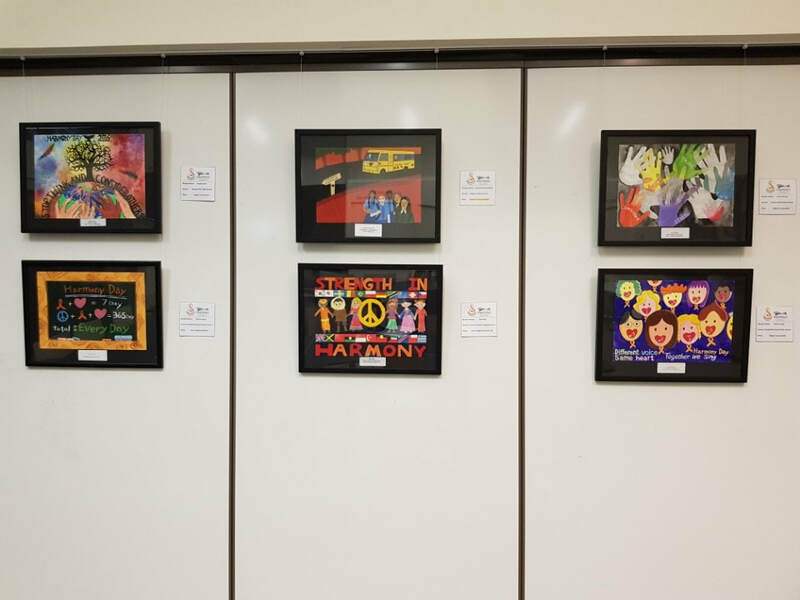 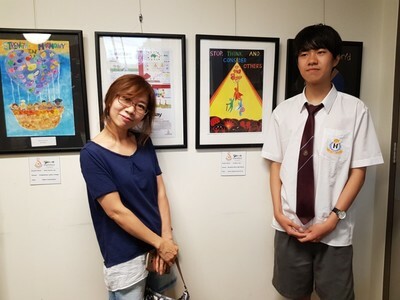 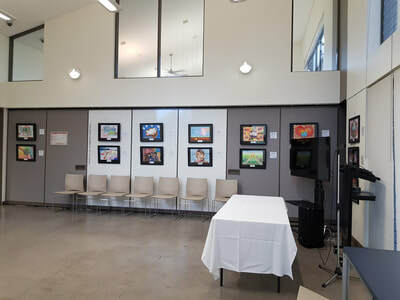 Our students were privileged and honoured to have their posters exhibited. 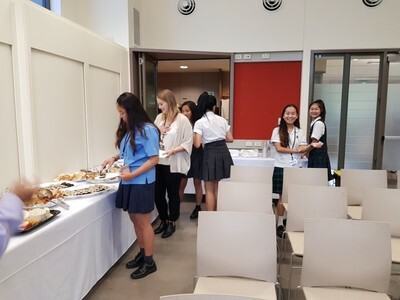 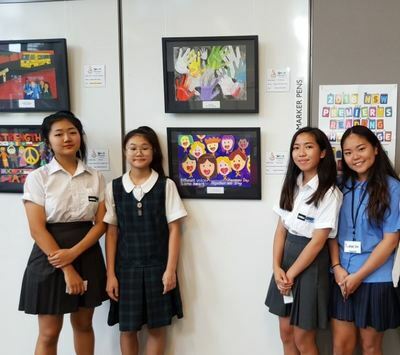 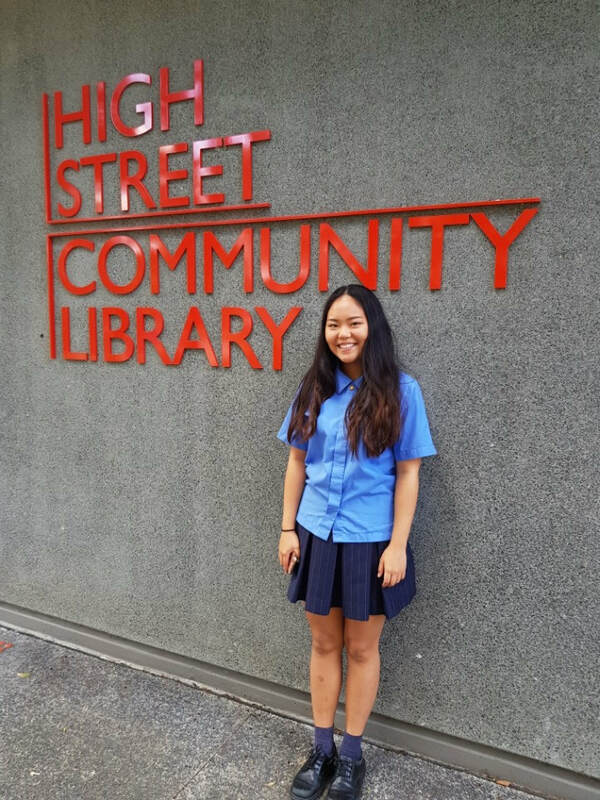 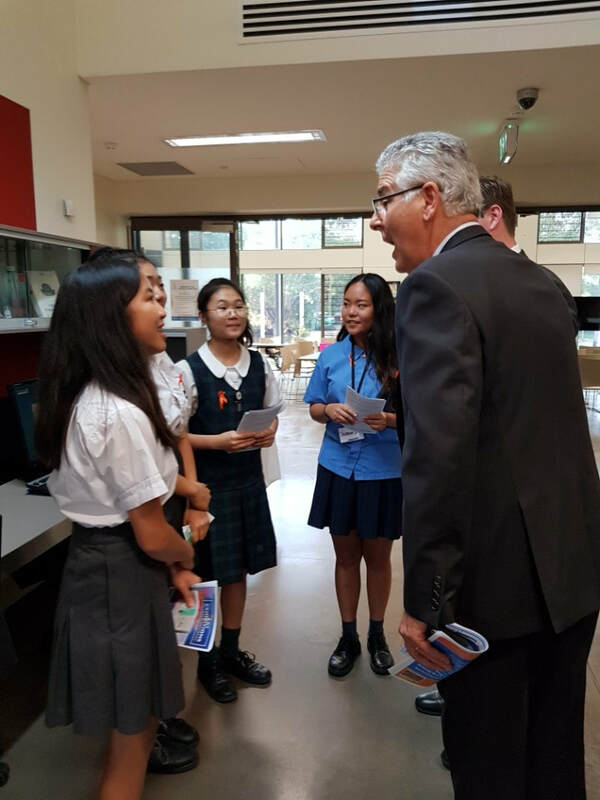 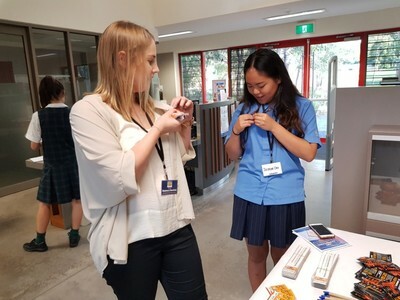 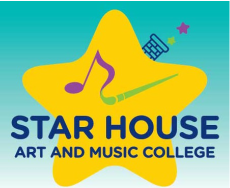 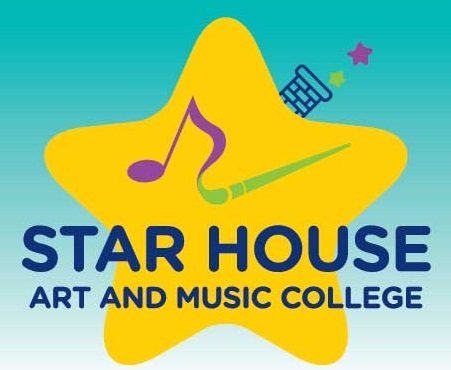 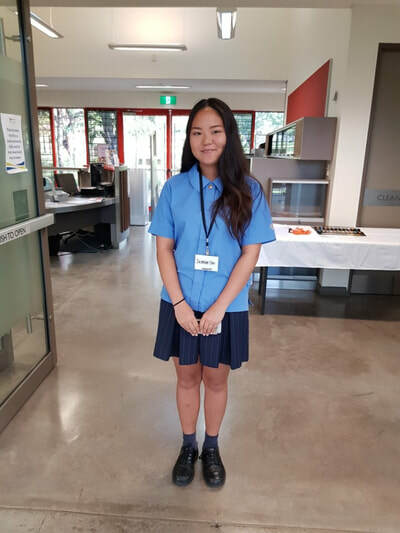 I would like to thank Rosemary Hanrahan-Newtown, Julia Jeong, Jacklyn Lee, Jasmine Cho and Felicia Le who proudly represented Star House Art and Music College as volunteers to help with the organisation of the day and they did an amazing job. 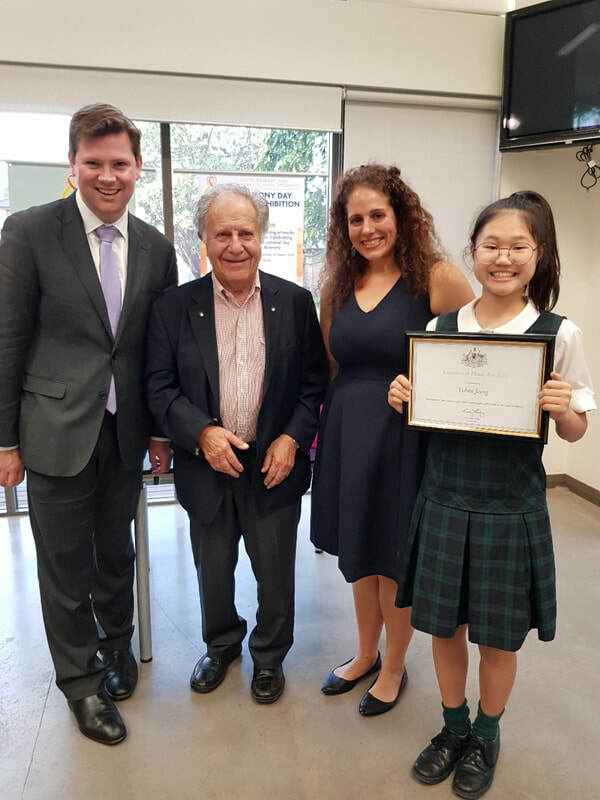 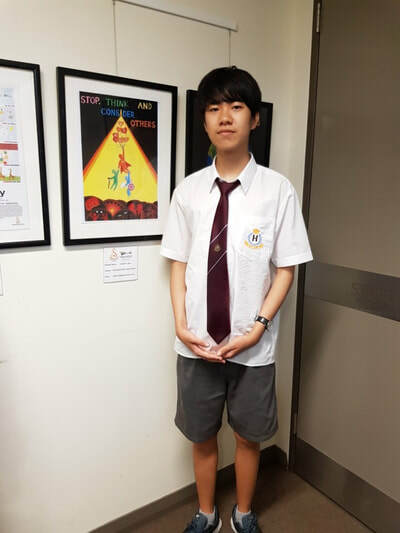 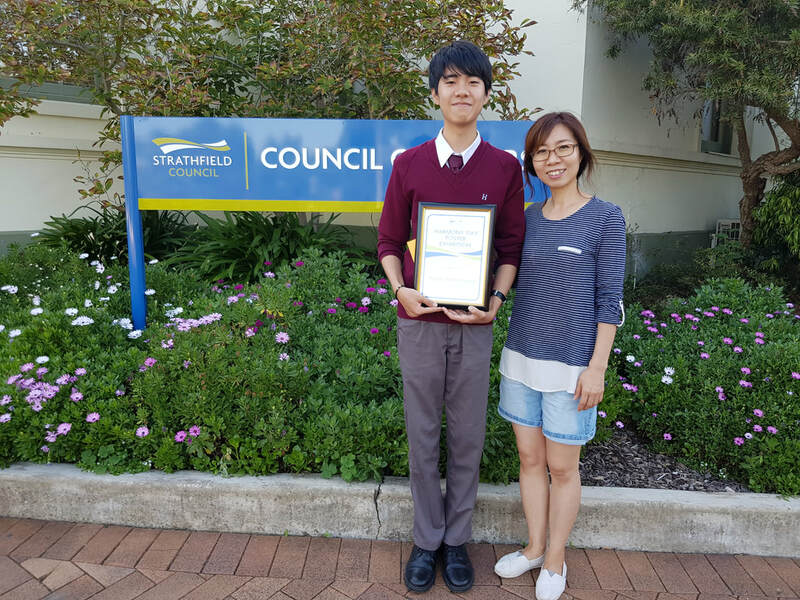 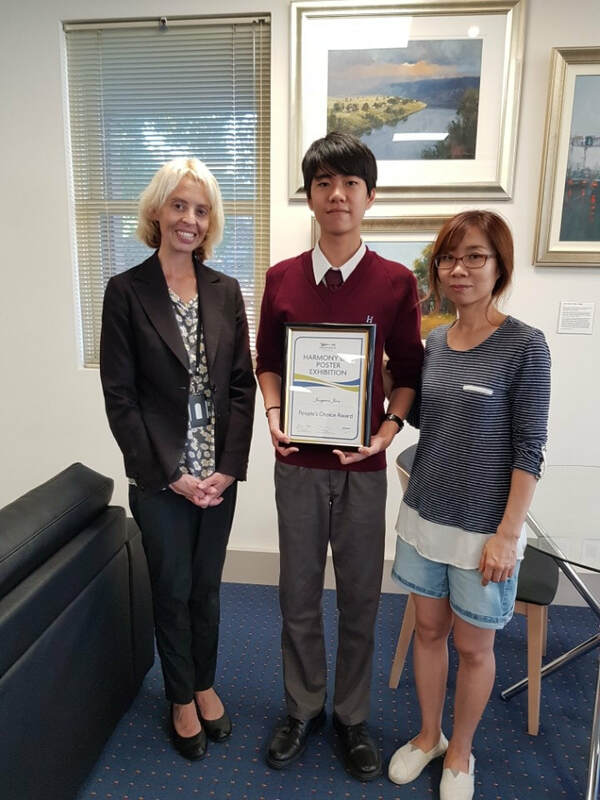 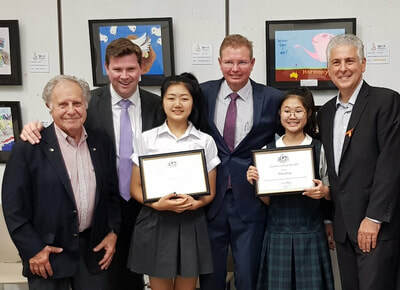 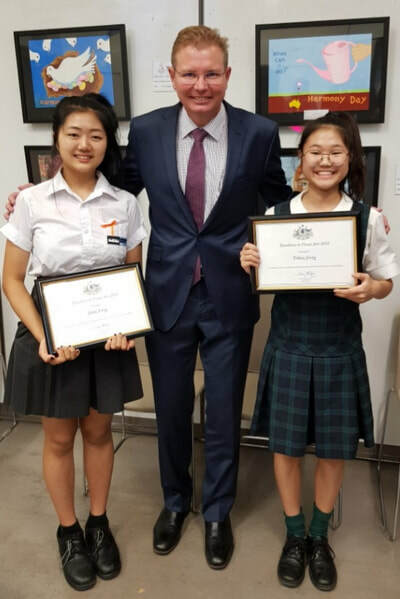 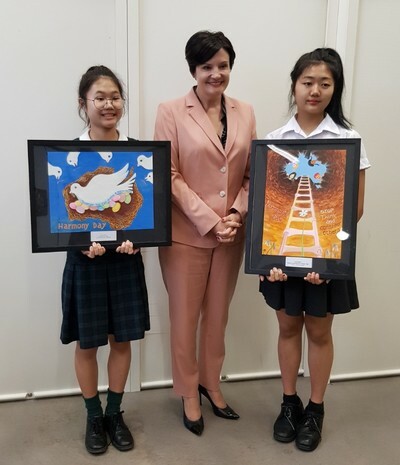 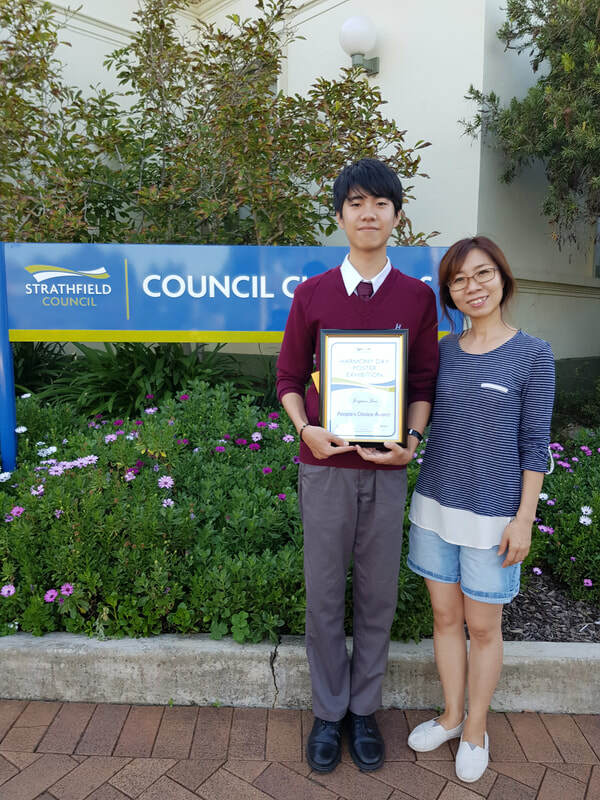 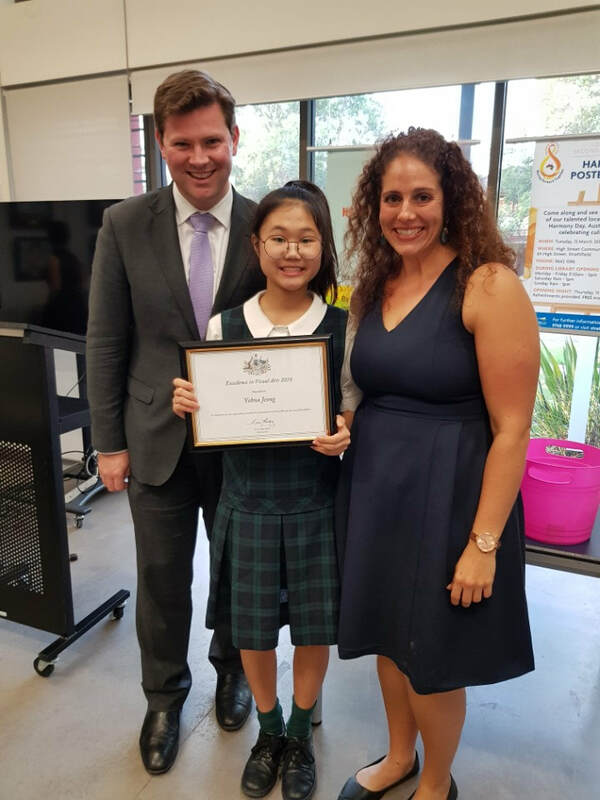 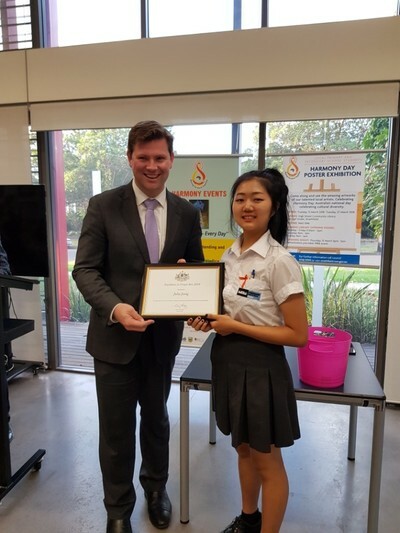 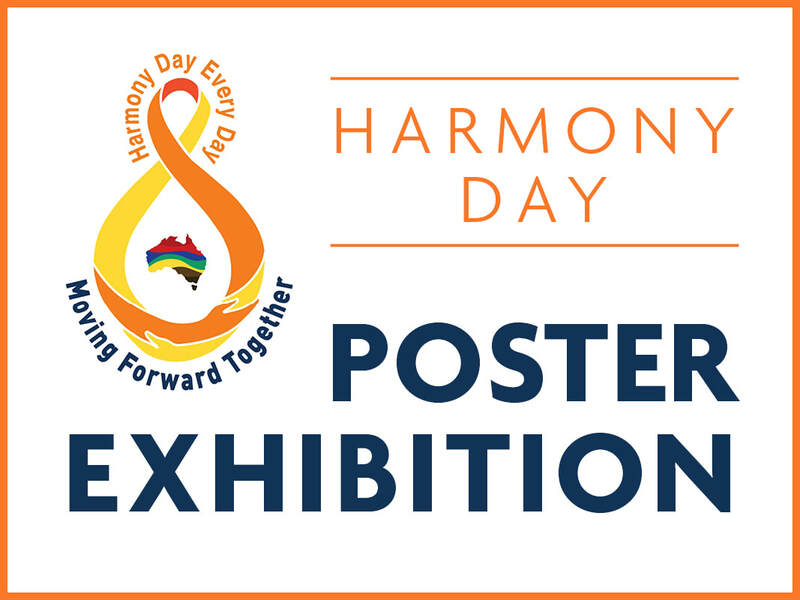 Congratulations to Jongwon Jeon who won the People's Choice award from the Harmony Day Poster Exhibition.